Modern businesses aren’t usually looking to advertise unfair hiring practices, and often code ageism in positive terms. How many times have you seen an employer looking for “fresh” or “energetic” hires? How many advertisements are filled exclusively with young faces? And how many times have recruiters asked what your 10-year plan is? All of these practices skew towards youth culture, or help to discourage older employees from applying for work with those businesses. Age discrimination is on the rise and baby boomers are retiring later than ever, which means that you’re going to see more and more senior employees up for new jobs. I understand why businesses look for younger employees. The impression we all seem to have is that young employees will be a greater investment and show more engagement in their work, but this is not always the case. Younger employees have much higher turnover rates than senior employees, and lack many of the soft skills learned through many years in the workforce. And with fewer young people in STEM industries, this gap may become difficult to fill. For example, one of my candidates is a Controller in his late 50’s. He’d been working in his field for over thirty years, and was looking for a change. He was still passionate about working in Accounting, but wanted to scale back his day-to-day stresses of the demands a senior finance person is expected to handle. Now, at first glance, you might think it’s difficult to place a Controller that wants to scale back, but we found a solution. A company was looking for someone to serve as a supervisor, mentor and advisor to all of their junior to intermediate accounting staff. The company received the full benefit of his experience, and the other senior finance staff could concentrate on their own work as the junior employees always had an experienced person available to answer their questions. There are always solutions. Here are 5 things you can do to reduce Ageism in your workplace, and benefit from inter-generational synergy. Increase Awareness: understanding a problem is the first step to addressing it. If you motivate and train your employees to think outside the boundaries of age, you will build a healthier, more diverse pool of employees. Retrain: the next step is coming up with a concrete plan to help guide your hiring managers towards more inclusive hiring practices. Whether this comes in the form of a training course, literature, or group exercises, the method is up to you. Even a small amount of retraining or education can be an enormous good. Fair Hires: Some companies have a tendency to terminate older employees over younger ones when downsizing. Guide your hiring managers toward age-inclusive business practices and stress that qualifications and experience are more important than a person’s age. We always put a range of qualified candidates in front our our clients to ensure they have the options that put them in the best possible position as a competitive business. 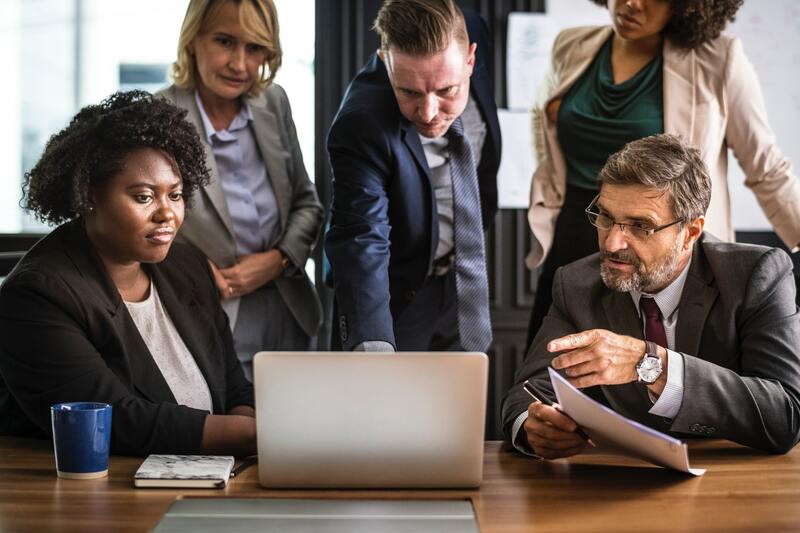 Redirect Company Programs: workplace activities or special programs should attempt to be inclusive to all levels of age and ability, or else present a variety of options for different people. Also, making certain every single one of your employees matches your corporate culture is not as important as you might think, be okay with some employees having their own time and their own space away from the group. Promote Generational Synergy: suggest new ways to encourage different generations to work together, invent new positions to better suit the ages of your employees, and try to find new methods of combating Ageism in your workplace. The desire to learn and improve doesn’t stop at 50. I believe we can improve and strengthen our businesses and hiring practices by breaking free of these patterns, and help older employees find their place in our industries.